The Brodof kitchen is a sleek modern design. 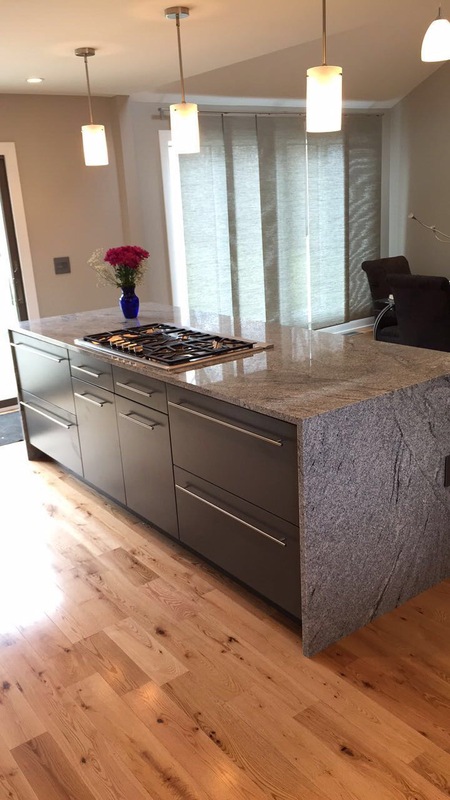 The island has a waterfall granite counter that flows over the sides of the island. 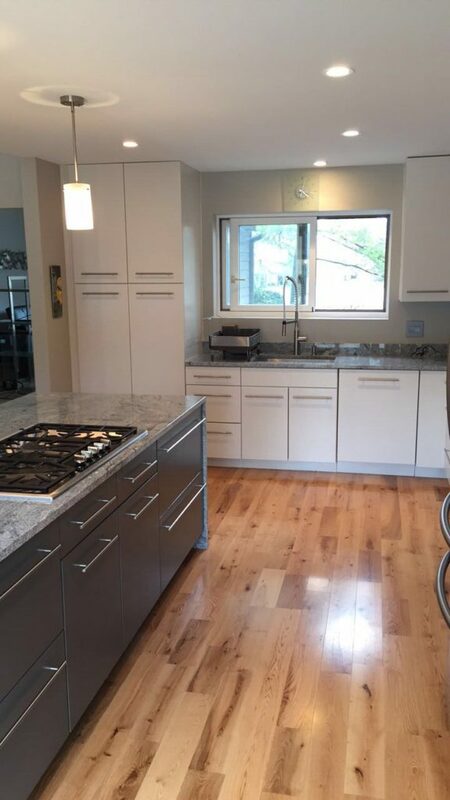 We used a two-tone design with white cabinets and a gray island. 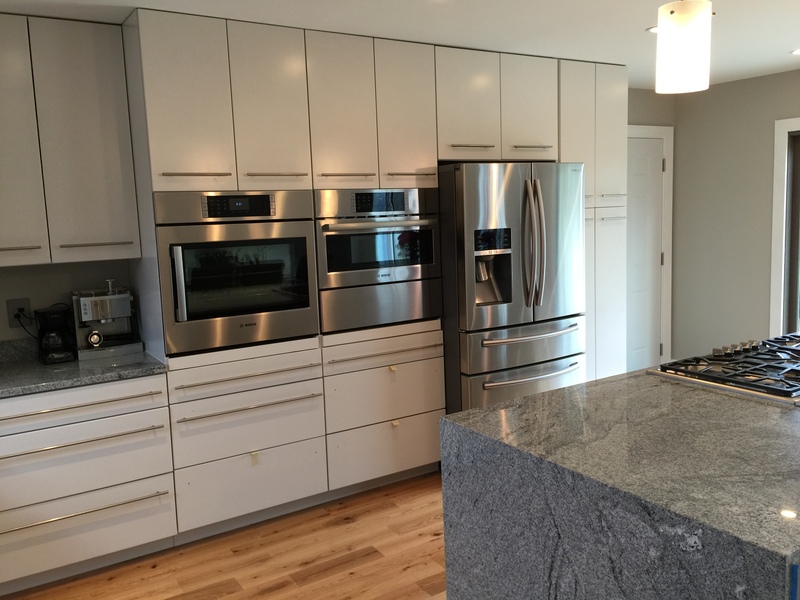 The built-in appliances are a nice feature of this design.